It sure is hard to think of Christmas at a time when the sun is shining, the birds are chirping, and the bats are swinging! I have been very busy lately with my kids' baseball and softball teams. You probably get tired of hearing me say so, but they are awesome! Both of my kids have won their state tournaments! What great groups of kids they all play with! So back to Christmas....I have to say this was a challenge for me (thanks Jackie!) to think of snow and gifts right now, but all of the stamps at Riley and Company sent me some inspiration! 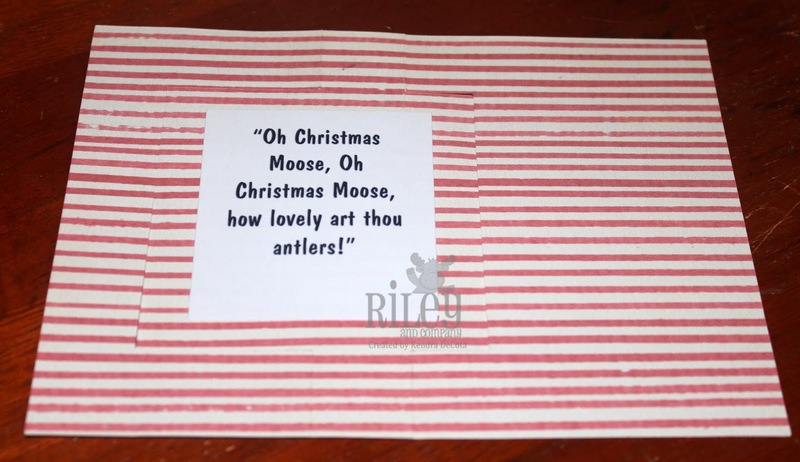 I have used Merry Christmoose Riley Clear Set that you can find HERE at the Riley and Company Store. The sentiment is from Christmas Words Set 2. 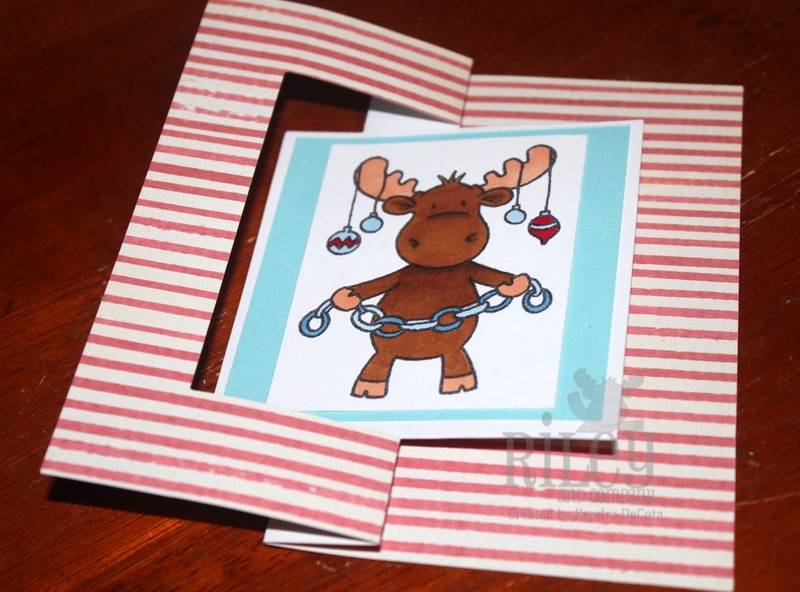 I made this card using a Sizzix die that sure makes it easy to fabricate a swing card. By the way, do you know how hard it is to photograph a swing card???? Oh well, at least I got flats of the back and front of the panel! Make sure you had on over to the blog and then to the other design teams sites to check out their creations.